After releasing Infinix S2 Pro weeks ago, Infinix Mobility has yet launched the smaller variant called Infinix S2. They shared almost the same specifications and features. They are just the successors of the Infinix Hot S.
Infinix Hot S2 is a 4G LTE enabled smartphone with a 5.2-inch display. A key selling point are the dual selfie cameras. This setup won’t produce Bokeh effects though, but rather wide angle selfies. I still don't know why Infinix Mobility preloaded this phone with Android 6 Marshmallow out of the box. They should have preloaded it with Android Nougat instead. Hopefully, Infinix Mobility will provide a Nougat update soon. Do not forget that the S2 has a more capable sibling – the Infinix S2 Pro. 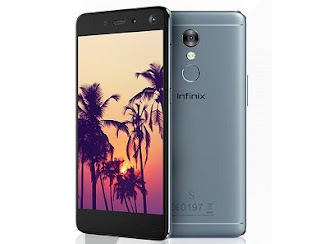 Have a look at the full Infinix S2 specifications below. Launch Price: Nigeria: N58,000 / Kenya: Ksh 15,699 / Philippines: ₱8,990 / $190 USD in USA / INR 12,240 in India. Infinix S2 specifications. Infinix S2 release date. Infinix S2 price in Philippine, India, Nigeria, USA, Kenya, Ghana. Wrong. Even at that a 3000mah infinix last longer than a tecno 3000mah except the camon C8. They were truthful on that one.